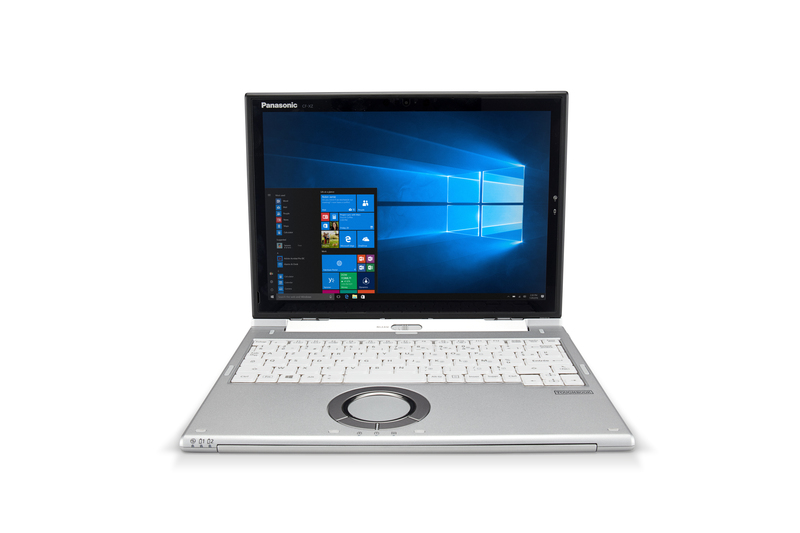 The Panasonic Toughbook CF-XZ6 is one of the lightest, business rugged, 2-in-1 detachable notebooks with a 12 inch display. Sleek and lightweight in design, this detachable will be the envy of any mobile worker. With its business rugged design, 14 hours battery life, powerful latest generation Intel® processor and multiple business ports, the device more than matches the needs of any busy executive. Built-in battery in the tablet part and end-user removable hot-swap battery in the keyboard part. * The shock resistance and pressure resistance functions are not a guarantee against damage or malfunction. Users will have all the computing power they need with the latest state-of-the-art 7th-generation Intel® Core™ i5-7300U vPro™ Processor. To ensure mobile workers have enough space for their applications and documents, the device has 8GB RAM and 256GB SSD. 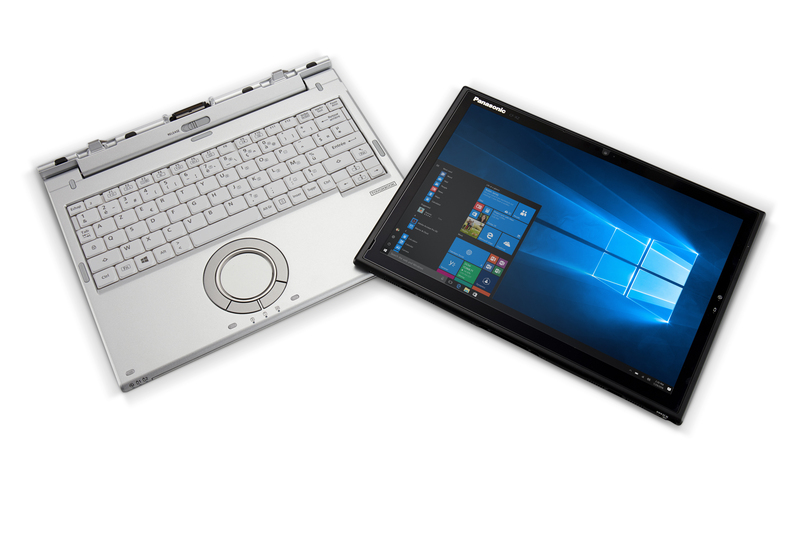 Despite its high-performance capabilities, the Panasonic Toughbook CF-XZ6 has a lightweight and slim design, combined with the business rugged capabilities that you expect from the Toughbook range. This Panasonic, with its three-year warranty, is encased in magnesium alloy to take the knocks and scrapes that frequent travelling can deliver and has been tested to withstand a 76cm fall and 100-kgf of pressurized vibration. 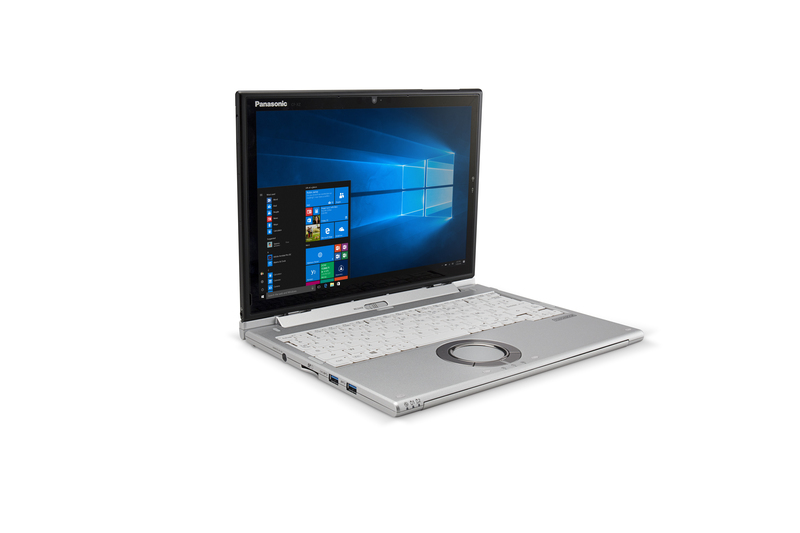 Equipped with a rich set of business interfaces and wireless connectivity, the Panasonic Toughbook CF-XZ6 ensures the user is always connected whether at their desk or in the field. Business ports include 3x USB 3.0, USB Type CTM, LAN, HDMI, VGA and SD card slot. For fast data transfer the device includes wireless LAN a/b/g/n/ac (up to 866.7 Mbps), Bluetooth® v4.1 and optional 4G LTE. Ideal for web conferencing, there is also a 2MP webcam (with IR supporting Windows Hello). 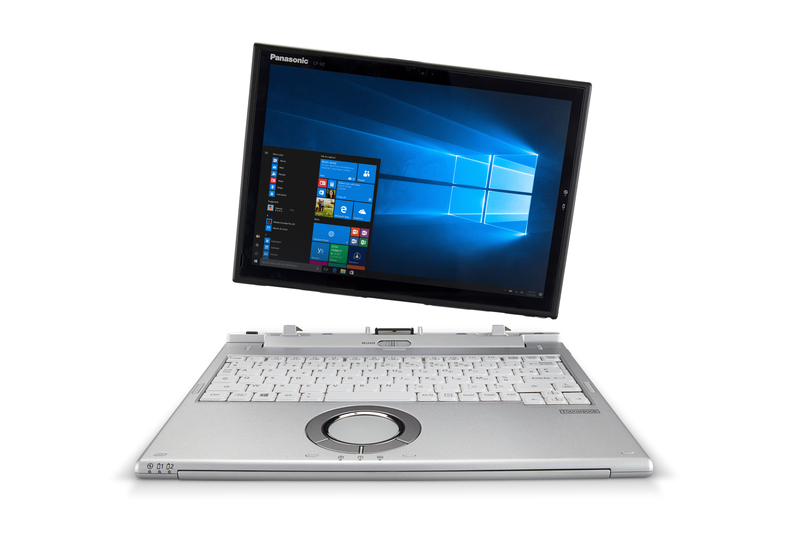 Designed to work as long as the busy executive, the Panasonic Toughbook CF-XZ6 can operate for up to 14 hours and has a built-in battery in the Tablet part and an end-user removable hot-swap battery in the Keyboard part to allow continuous operation without interruption.